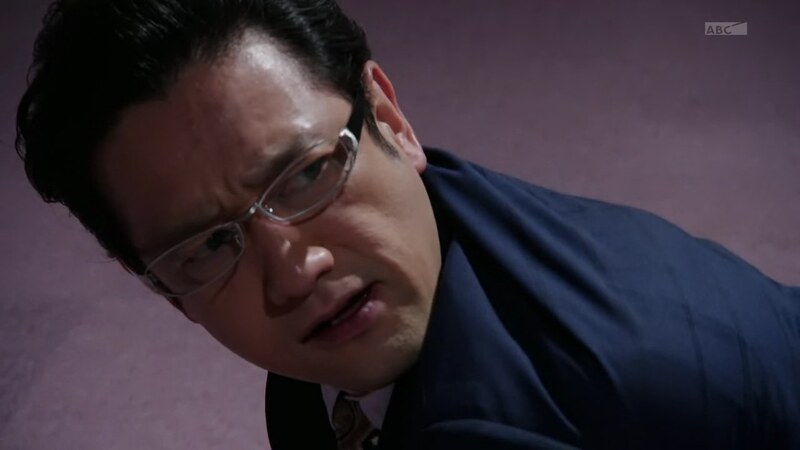 Recap: Kamen Rider Drive, Episode 34 – Who Took Tomari Eisuke's Life? 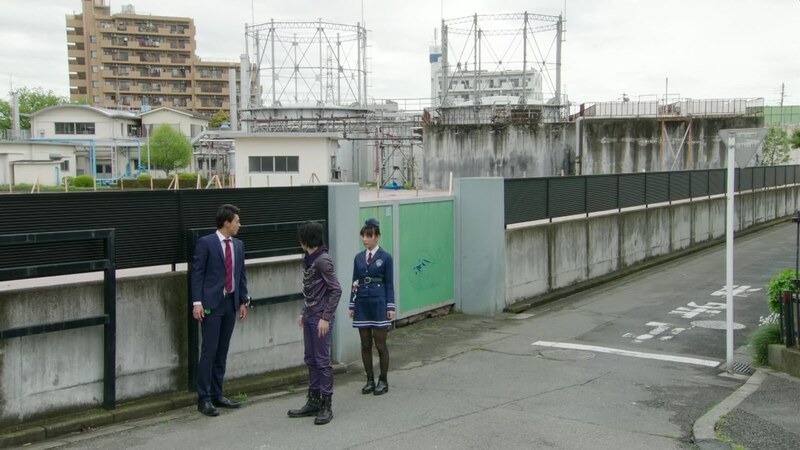 Shinnosuke and Kiriko are on their way to measure particles for a possible Roidmude incident. But Shinnosuke can’t stop thinking about Freeze’s last words about not knowing the truth about his father. They arrive at the Metropolitan Police Department and head to the Forensics Lab where the Gravity Shift occurred. They talk to Minowa Mariko, one of the forensics team, who first encountered the Heaviness. 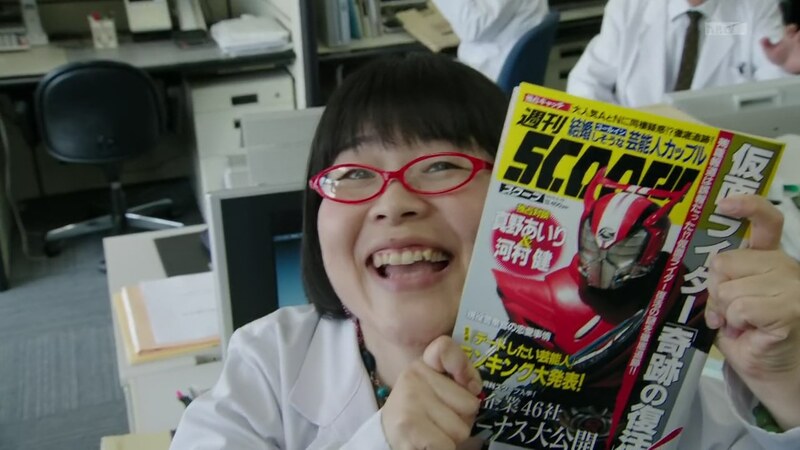 She’s a big Kamen Rider fan. She brings them to the evidence room and says some things were missing after the Gravity Shift. But she’s not really sure what. Belt-san tells Shinnosuke that there’s a Roidmude outside, an evolved fusion one too. Roidmude 106. Shinnosuke henshins and says he will arrest 106 for robbery, at the police station no less. But 106 takes the Handle-Ken and uses it against him. Shinnosuke uses Door-ju to take the sword back and slash at 106 which causes a forensics document to fly out. Must be what 106 stole. He sends a blast at a nearby walkway, putting people in danger. Belt-san says to go Type Tridoron and Shinnosuke uses a Justice Hunter, Mad Doctor and Fire Braver tire mix to unleash a finisher, save the people and heal a man’s wounds. Brain arrives and helps 106 get away. 106 thanks Brain, but Brain says he didn’t do it for him. Now that his tablet is gone and 001 is dead, he must now take this opportunity to also get golden via the ultimate evolution. Maybe then, he can also become one of the Promised Numbers. Otta tells them about Shigeta Shizuo, chief of the forensics department who has been missing since the day before the robbery. They assume he is behind the evolved fusion form, but Mariko says the chief would never do such a thing. In fact, just recently, he said something was bothering him about an old case and he pulled out some evidence from it to look over. AHA! That’s what was taken! A box full of evidence from that case. Shinnosuke looks at the paper that fell out of the Roidmude earlier. It’s a ballistics report… from his father’s death! They talk about the situation at the SID. They believe Shigeta’s memories which were erased by 001 were coming back which is why he started looking into the case again. 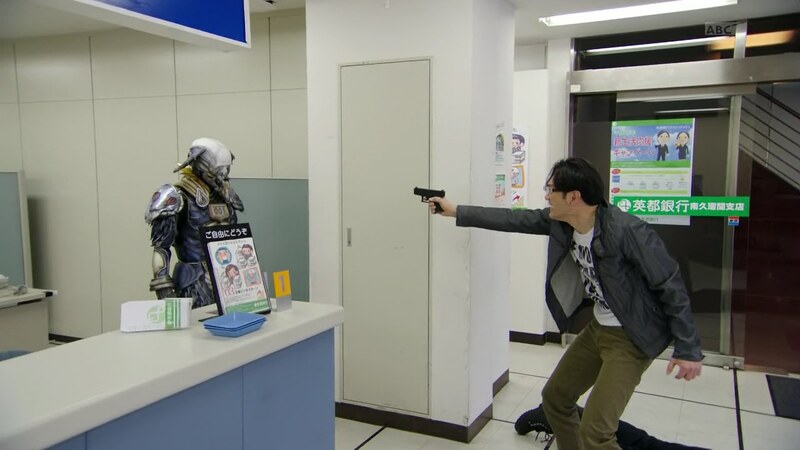 But then he was taken by the Roidmude. Shinnosuke believes the clue they need is hidden in the gun taken into evidence. He gets ready to run out, but Chief Jun tells him to be careful and not to rush into things after just getting his life back. Nira hands Shinnosuke a list of Makage’s properties. If the culprit to the robbery is connected, then he might be hiding at one of these places. Nira apologizes and says this is the least he can do to make for what’s he’s done and for Shinnosuke’s father who had done so much for him. He tells Kiriko to come with and they will start at the top of the list. They arrive at the first location and find… Heart! Heart has been waiting here and is very excited to see Shinnosuke is alive and available for a little tussle. They both henshin and transform and they fight. Heart uses the Super Gravity Shift to paralyze Shinnosuke, but Formula arrives to help counter it. Shinnosuke tells Kiriko head to the roof as he resumes fighting Heart. Nearby, Medic tells Brain that after the successful experiment with Chase, she gave Heart the Super Gravity Shift power. 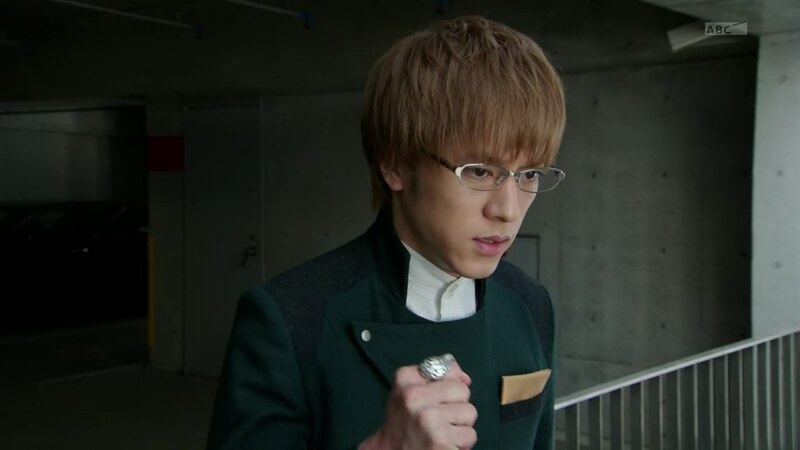 Brain says he will make up for his mistakes and decides to attack Kiriko, looking for her brother. Instead, Chase arrives and knocks him over the railing onto the top of the Super Gravity Shift dome. Chase yells to Shinnosuke to forget Heart and return to their original purpose of coming here in the first place. 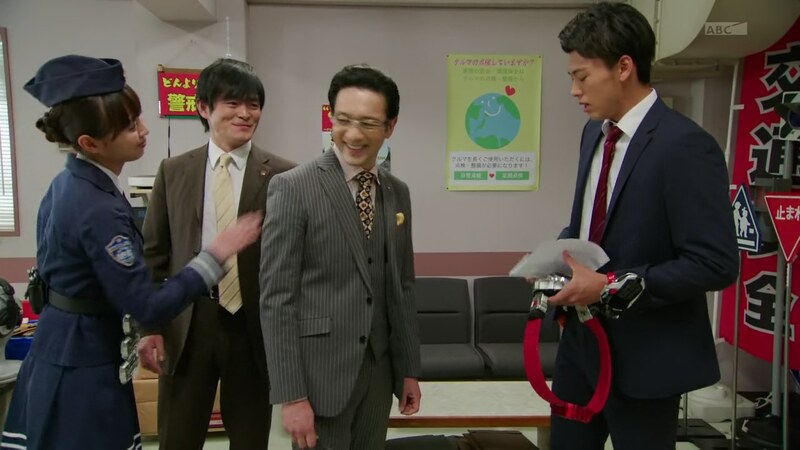 Shinnosuke, Kiriko and Chase hurry away. Medic thinks Brain is so pathetic. Chase asks them where Gou is, but they haven’t seen him for days. Chase tells Kiriko not to worry. Gou has his own goals right now. 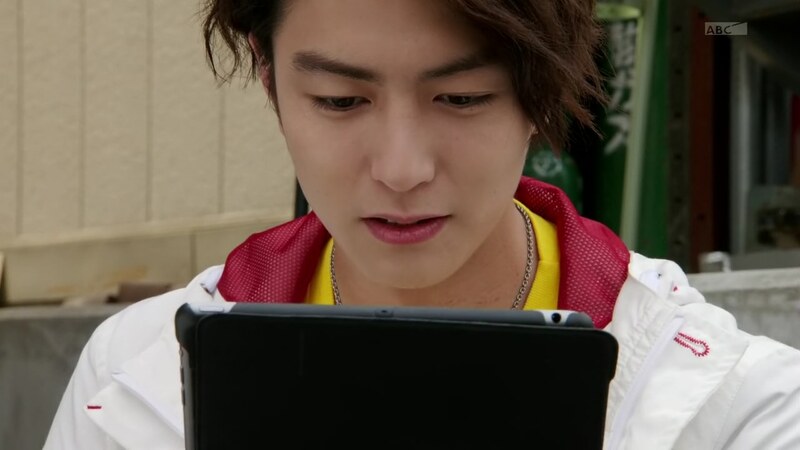 Gou plays with the Banno tablet, hoping to find a way to use it to help them. Back at the SID, Chief Jun shows Shinnosuke, Kiriko and Nira a new antidote Rinna has made for Makage’s victims. Should work even better now. Meanwhile, 106 has Shigeta dig through the evidence box and remember what happened the day of The Incident. Turns out the bullet used to kill Papa Tomari was from a different gun than the one entered into evidence. Both Brain and 106 remand Shigeta remember where he hid the real gun as Makage ordered. The memory of Makage frightens Shigeta. Suddenly, Chief Jun appears and tells 106 that his fingerprints are on that real gun, aren’t they? Chief Jun declares that the one fused with the Roidmude right now is the true killer of Tomari Eisuke! Chief Jun tells the culprit he probably realized Makage’s disappearance would cause old memories to come back and the crime would be exposed. 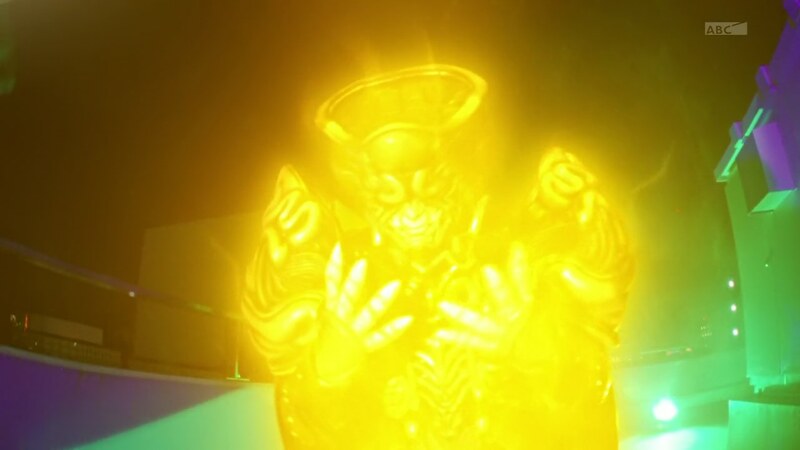 So he fused with the Roidmude to destroy the evidence. 106 tries to shoot at Chief Jun, but Shinnosuke arrives to block it. Nira Mitsuhide! 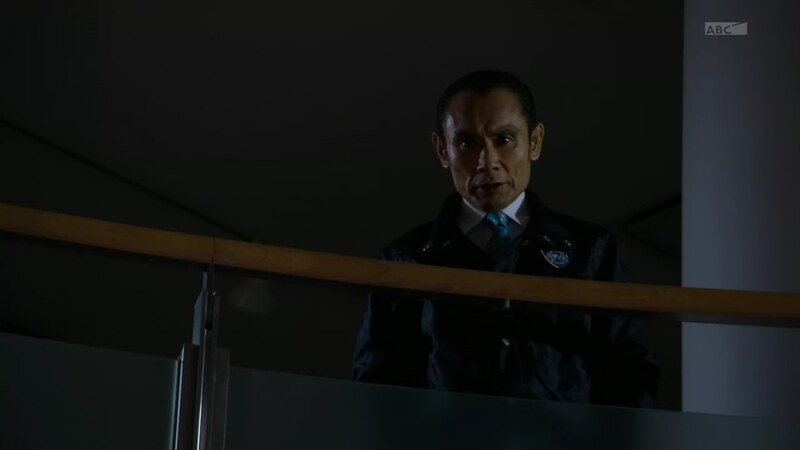 The true murderer of Tomari Eisuke! Shinnosuke explains that Heart attacking them earlier meant that the leak must have been Nira. And they found this place thanks to the tracking device on the bottle of antidote Nira took with him which they knew he would give to Shigeta. Shinnosuke demands to know why Nira killed his father. Nira says Shinnosuke is just like his father, oblivious to other people’s jealousy towards them. 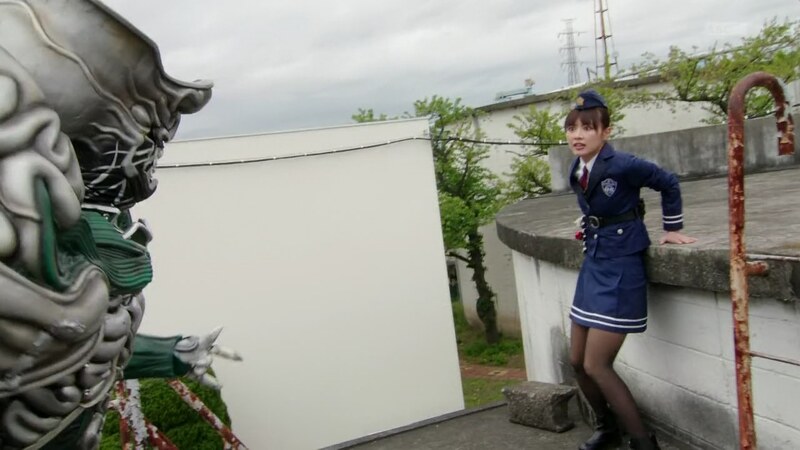 Nira was always jealous of the star Tomari. He tried to overtake him, but Papa Tomari only felt pity towards him, advised him to stop and that he believed in Nira’s policeman spirit. That only made Nira hate Papa Tomari more. The Incident 12 years ago was not a coincidence. Makage tipped the police off and sent Papa Tomari to the scene who then called his partner, Nira, to help him infiltrate the bank as patrons. 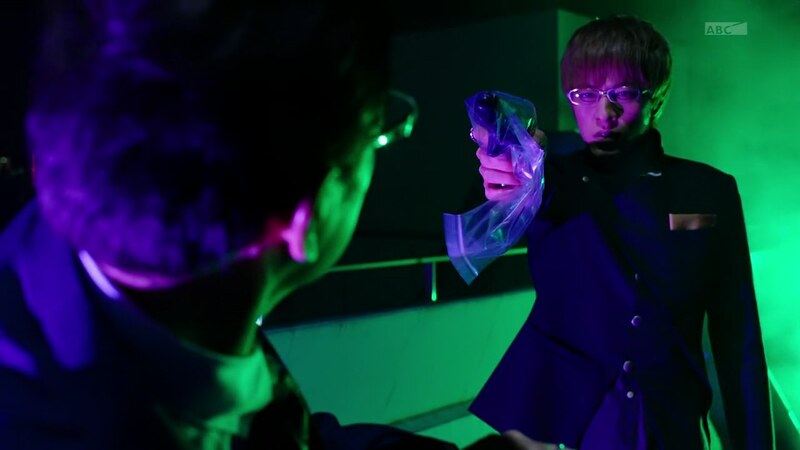 As Papa Tomari protected the girl, Nira tackled Maruya only to grab his gun and use it to shoot Papa Tomari himself. That’s when 001 appears and offers to cover up Nira’s involvement in exchange for his allegiance to him. Shigeta remembers that Makage ordered him to hide the gun in the ceiling above the desk. Shinnosuke again demands to know why Nira would do this, but Nira says he would never understand. But really, this is humanity’s true nature. Always waiting for the opportunity to become monsters! Brain is excited. He directs 106 to re-join with Nira. Shinnosuke asserts that not everyone in the world is like that. He henshins straight to Type Tridoron. Brain jumps down to help against Shinnosuke and they take the fight outside. Shinnosuke uses Rumble Dump, Spin Mixer and Rolling Gravity tire mix to get Brain out of the way. He then uses Trailer-hou for a Full Throttle Technic Big Cannon Finish which separates Nira from the Roidmude. Brain tosses a Viral Core into the 106 to turn it into the flying version while he takes Nira away with him. Shinnosuke easily takes care of the Roidmude with Tridoron. They head back to the forensics lab and find that the gun is gone for the ceiling and likely taken by the Roidmude already. Later that night, Brain is with Nira on a rooftop. Brain points a gun at Nira, but then drops it and hugs him. Jealousy! Such strong jealousy. Brain now understands why he helped Nira. He says they will fuse to create a new Roidmude. But Brain spits Nira out. And instead begins to glow. This is it! Pretty good episode I guess. I will say that ultimately, Nira being the one who killed Papa Tomari was unexpected, though not really a surprise. Or is that the other way around? lol Mostly because the story itself about Papa Tomari has been all over the place after getting pulled out of nowhere, so you don’t really know what the purpose of the whole thing was. Still, it does make sense. But this does explain why Nira was originally by 001/Makage’s side in the first place. And his utter contempt for Shinnosuke. Speaking of fathers, here we go with Gou talking to Papa Banno in a tablet. As for the idols, I must say I think Brain is the most developed. Unlike Heart and Medic, Brain has had a clear goal and has acted to fulfill that goal. (Mainly, to reclaim and maintain his spot in Heart’s lap by Heart’s side by getting rid of that pesky Medic.) Only now does he get the shining shimmering goldness which I really hope doesn’t mean he’s going to get offed soon.